Shanti Charan is a Bay Area born and raised comedian and writer. Her bubbly personality and contagious smile lure in audiences and her comedic abilities keep them laughing. She is a Bay Area favorite and a regular at every local club including San Francisco Punch Line and Cobb’s. Charan was recently named San Francisco Bay Guardian’s “Best Comedian” in their Annual “Best of SF” edition. 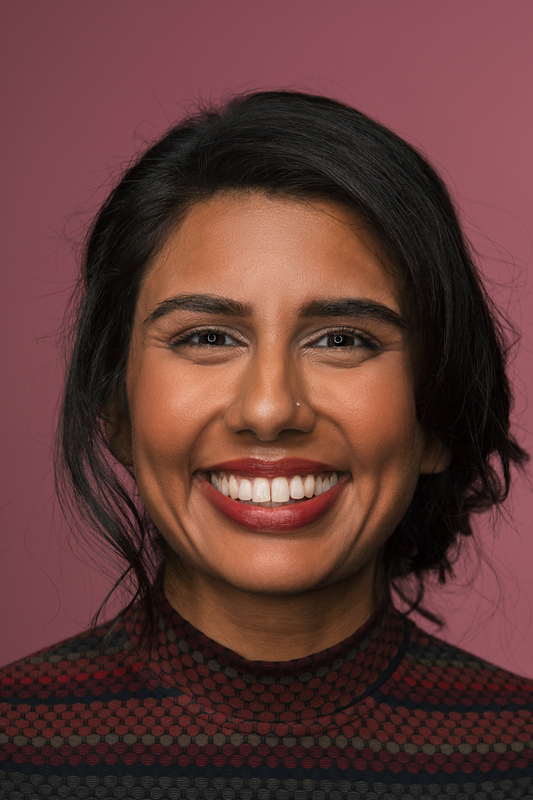 SF Weekly awarded Shanti “Best Stand Up on the Way Up”, stating Charan’s writing, “is clever and confident beyond her years”. Shanti has had the opportunity to work with talented people such as; Bobby Lee, Fortune Feimster, Sasheer Zamata, Ronny Chieng, Sheng Wang, Rob Delaney and Dan Cummins. Shanti co-produces a monthly showcase called Do What You Love: Comedy Series in the heart of San Francisco. She also produces and hosts a Culinary Comedy web series, Mixing Masala with Shanti. The show gives audiences a fun, entertaining and fresh look into Indian cooking and South Asian flavors. Either it be on stage, on camera or on the radio, Shanti Charan captivates audiences and continuously delivers.